Terry Chan Photography: 14th Annual Screen Actors Guild Award - The Only Award Show This Year?!?! 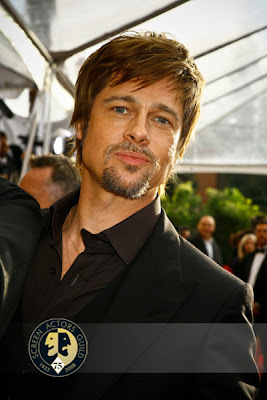 14th Annual Screen Actors Guild Award - The Only Award Show This Year?!?! I was photographing on the red carpet at the 14th Annual Screen Actors Guild Awards at the Shrine Auditorium today. It was more exciting and packed with celebrities than previous years as it may be the only Award Show in 2008! 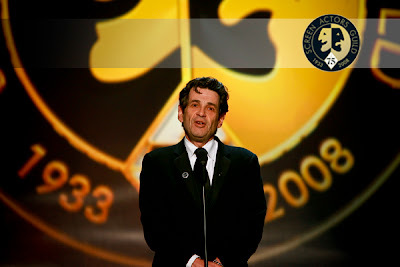 SAG President, Alan Rosenberg speaking on stage at the SAG Award Show. WGA (Writers Guild of America) is currently on strike. The close bind between 2 unions SAG and WGA put a bind on last month's Golden Globe Award Show. The Hollywood Foreign Press did not sign at least an interim agreement with the WGA, the Golden Globe Award Show became a big "Golden NOPE"! The show was aired without a red carpet entry because no celebrities wanted to cross the picket line in solidarity with our sister union WGA. Also, no celebrities came to present at the Golden Globe either. The show consists of only a several (non celebrities) people reading off the nominees, and announcing the winners without the usual "Hoppla and Fanfare". It was a sad, sad, sad Golden Globe Award Show. I hope by the time the Academy (Oscar) Award Show comes around, the strike will be over otherwise, the SAG Award Show will be the only Award Show of 2008. Carla Gugino of "American Gangster"
The beautiful and talented Rebecca Romeijn. "X-Men, Ugly Betty"
Teen Hearthrob Zack Efron of "High School Musical" and "Hairspray"
Amanda Bynes of "Hair Spray"
fame NBA superstar Tony Parker. 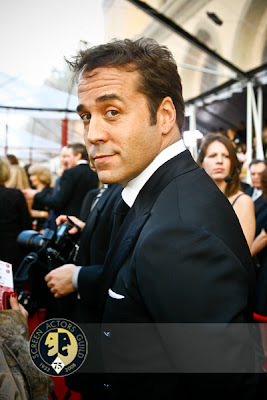 Jeremy Piven of "Entourage" looking just as dapper as his character, fast talking talent agent.